Because everything in life is better with a good friend and a good drink, I’m constantly on the hunt for the next great libation and writing about the adventure. This website is a portfolio for my articles, books, and blog, which focus on drinking, eating, traveling and otherwise living the tippling life. I’m Spirits Editor for Wine Enthusiast magazine and a frequent contributor to many other print and digital outlets. My work also has appeared in The New York Times, Saveur, Imbibe, and many other publications. View selected articles I’ve written. 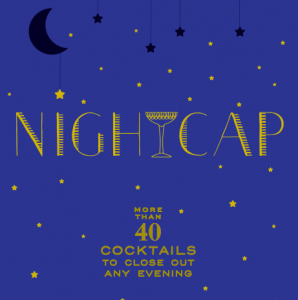 I’m the author of five cocktail books, including NIGHTCAP: More than 40 Cocktails to Close Out Any Evening (coming September 2018 from Chronicle Books) and Shake. Stir. Sip. : 40 Effortless Cocktails in Equal Parts. Learn more about my books. When I’m not writing, I also develop drink and food recipes for publications and corporations; teach cocktail demos and classes; and consult about trends in spirits and cocktails. See what’s on my calendar or email me to talk recipes or trends.